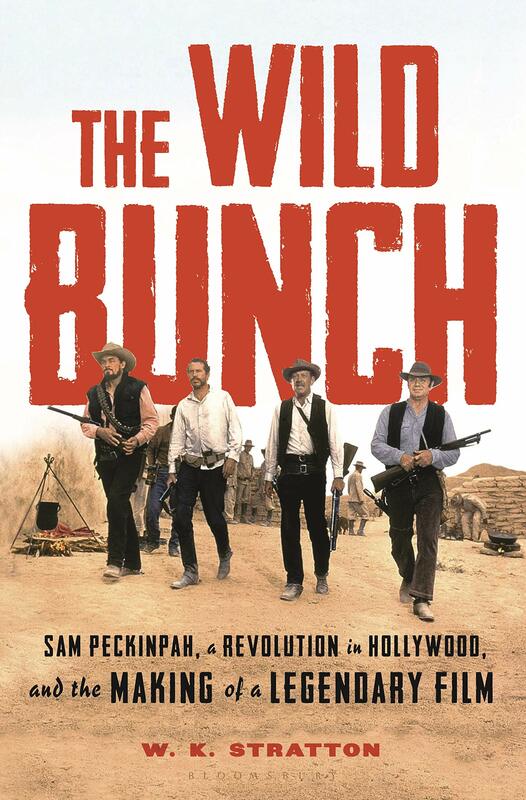 Fifty years ago, Sam Peckinpah’s The Wild Bunch blasted onto the nation’s movie screens with the impact of a Gatling gun mowing down an advancing army. The cowboy movie (and really, all movie-making) was changed in an explosion of blood and graphic slow-motion depictions of death by gunshot. It was the perfect metaphor for the times. Made in 1968, it began its theatrical release the following summer. It reflected the storm and stress of the era, and its journey to completion was just as tumultuous. 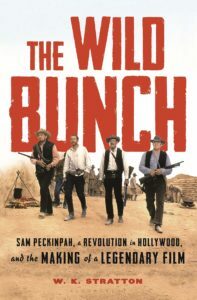 In his book The Wild Bunch, W. K. Stratton has ably captured the back story and the context in which this violent masterpiece was brought to fruition, along with the critical and public acclaim and opprobrium that followed. In March 1968, more than 350 Vietnamese villagers were slaughtered in what came to be called the My Lai Massacre. At the same time, Peckinpah began “shooting a film that would confront the violence in the human soul to a degree unlike any movie before it while also dealing with many other weighty matters.” Its themes of love, honor, betrayal, revolution, and repression were reflected in a polarized American population (think the 1968 Democratic Convention in Chicago and the violence and unrest that swirled around it). This was also the year in which the Motion Picture Production Code “expanded to an alphabet soup of movie ratings” to “protect” the movie-going public — especially in the Bible Belt — from even a curse word. Remarkably, Peckinpah was not forced to cut the violence in his film. The movie was set in 1913, a time when the world was changing quickly. Cars and tractors were beginning to replace horses, and the “wild west” was rapidly disappearing. “We gotta start thinking beyond our guns. Those days are closing fast,” says Pike Bishop, leader of the Bishop Gang, after the robbery that opens the movie. The Wild Bunch changed the cowboy movie forever. “Peckinpah destroyed all the standard stereotypes that made up cowboy pictures that came before it.” His vision of the West was “a dirty, often vile place, very much like the Old West was.” He put “a tombstone on the head of the grave of the old-fashioned John Wayne Western.” This was not a film about good guys wearing white hats and winning the schoolmarm in the end; it was raw and so sweaty that one could almost smell the dirt and blood. Stratton is effusive in his praise of the movie, ranking it with Battleship Potemkin, The Grapes of Wrath, and, “of course, Citizen Kane and Touch of Evil.” That assertion may be more than a little over the top, but he has done a remarkable amount of research to bolster his claim. His last words are “I’ve never seen a better movie.” It received Oscar nominations for best original story and for best score but lost both awards to Butch Cassidy and the Sundance Kid. Midnight Cowboy was a big winner and John Wayne won best actor for True Grit. Apparently, the Oscar voters were not ready to accede to a new order just yet. If you are not old enough to have seen the movie, you may, of course, find it on YouTube along with a number of documentaries. There are rumors that it might be remade.